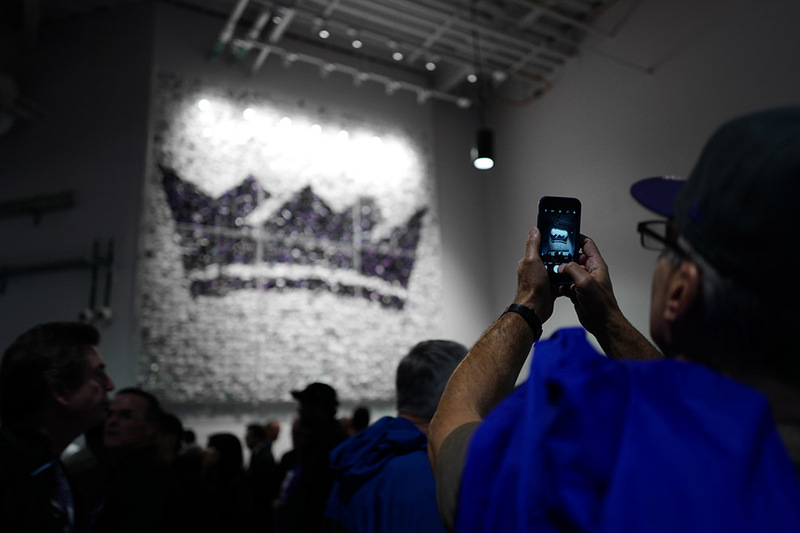 ‘Player Edition’ is a permanent sculptural installation in the new Sacramento Kings NBA arena Golden 1 Center. 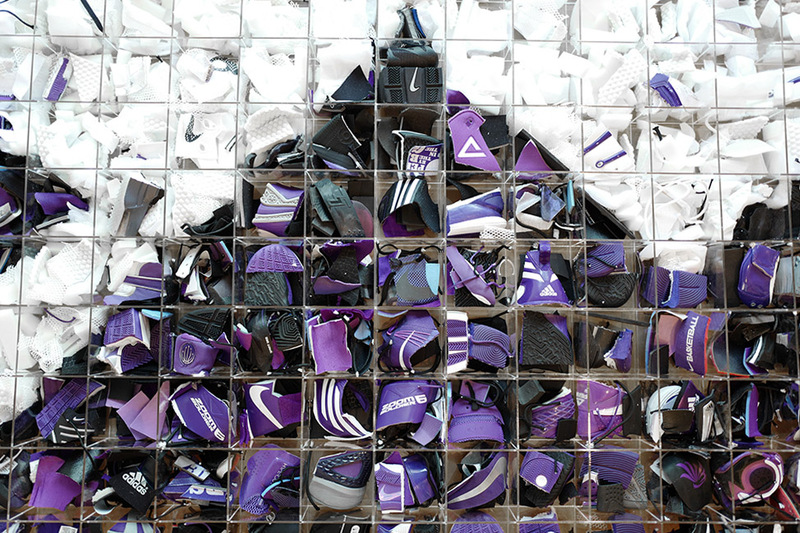 It is made out of clear acrylic plastic and hundreds of both current and former Sacramento Kings player‘s shoes. 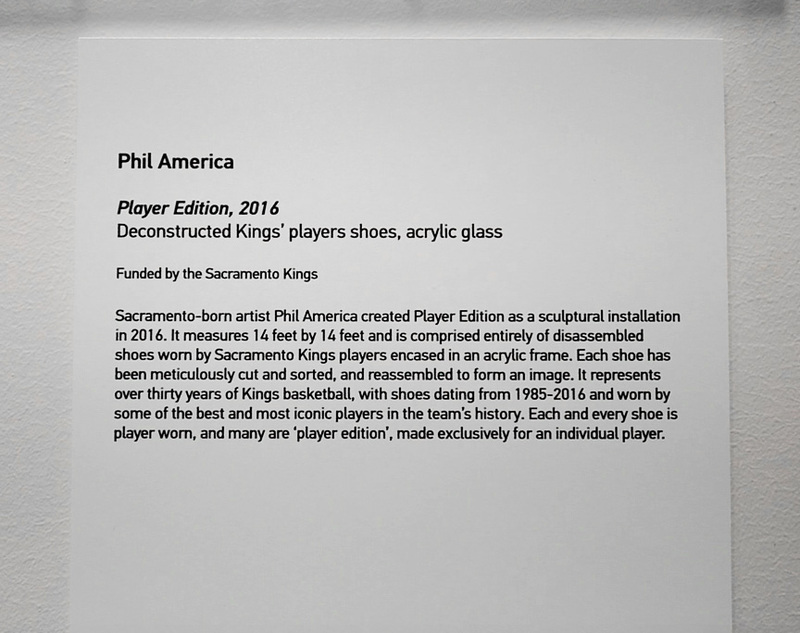 All shoes are game worn and many are ‘player edition‘, meaning a brand like Nike or Adidas created the shoe in the specific colorway of the team as a 1-of-1 for the individual player. Many of the shoes have the names, nicknames and numbers of players and some are signed or have messages written on them for loved ones, each one having its own place in history, all of which are some of the most sought-after shoes in the sneaker community and sports memorabilia world. Each pair can fetch up to thousands of dollars in resale on places like eBay, sports shops or at sneaker events. The shoes date from 1985 to 2016 while the artwork itself was completed over the course of roughly a year from inception to installation. 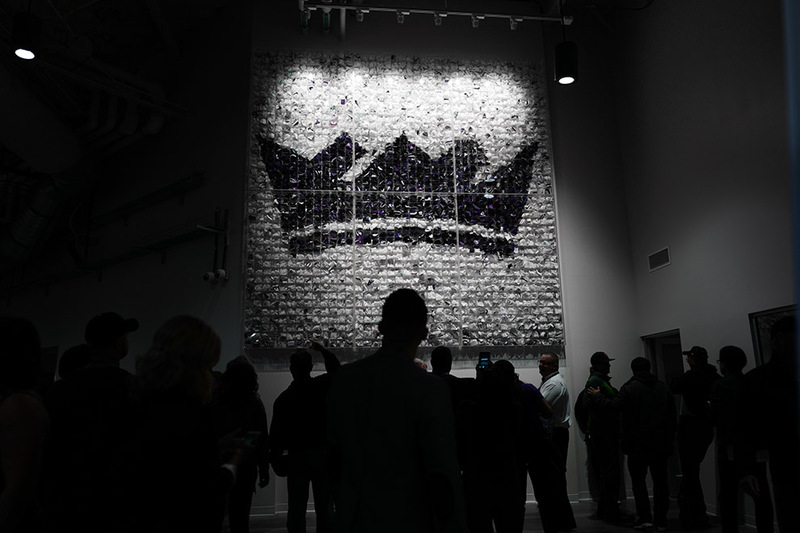 It was installed with a complete media blackout just before the first Kings game and funded by the Kings organization. 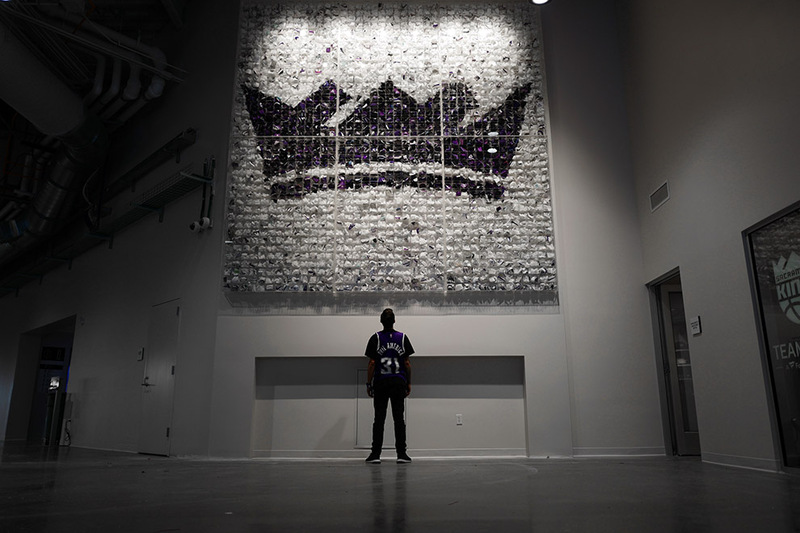 The work itself was a follow-up to a smaller-scale American flag made up of cut up Nike shoes and earned both the artist and the Kings creative team an ADDY, an American Advertising Award.